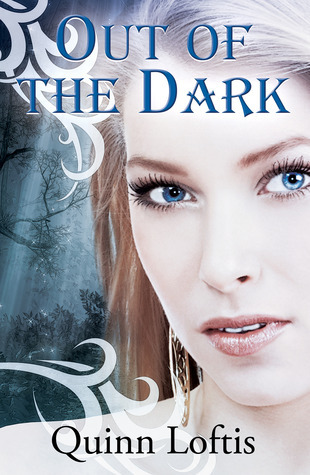 We are today's host for the Out of the Dark Blog Tour hosted by These Paper Worlds Book Tours. We are spotlighting the fourth book in The Grey Wolves series by author Quinn Loftis. There is also a giveaway for one of the ebooks in the series. Blurb: Darkness has descended on the Transylvanian Alps. Four packs of the powerful Grey wolves – in a rare show of cooperation – had joined together here in an effort to help their pack members find true mates. Then they were betrayed by one of their own – an Alpha hell-bent on becoming the most powerful of the Canis lupis. And though the wolf's assassination attempt on the currently-reigning Romanian Alpha failed, his plans to get Decebel, the Romanian Beta, out of the picture were coming together even as his treachery was discovered. The wolf fled, leaving destruction, death, and a missing mate behind him. Vasile will have to use all his resources – including Sally, the new gypsy healer of the Romanian pack – to discover a way in which to destroy the witch, lift the curse from Decebel and reunite him with the one woman who makes him whole, and solve a mystery that's been surrounding the Romanian pack for 300 years. About the author: Quinn is a wife, mother, nurse, and writer...not always in that order. She loves to read, write, crochet, and sleep when she can. She has a beautiful little boy and awesome husband who puts up with her crazy hours. We are giving one reader their choice of one eBook copy of any of the books in The Grey Wolves series (here's the Goodreads page with the entire series info) courtesy of the author. This giveaway is open internationally and ends at midnight on September 4th. I love this series and can't wait for #5! Thanks for offering the giveaway!